every year for 34 years, Make You a Hero! Jack Canfield shares (in 23 secs) why he feels such excitement listening to Rob talk and why you will, too. Their full 15 minute interview is below along with samples of Rob speaking and how he will connect with your audience. Need to successfully manage change and conflict? Speed Through Stress in 5 steps and 15 Seconds inspires practical changes for your members to successfully managing the stress of whatever changes your organization is facing. Dr. Rob’s most requested presentation provides unique insights everyone can recognize stress quicker and move through it faster making everyone more effective in the small or the large challenges in life. End Conflict with 3 Questions gives everyone in your organization the ability to move through conflict together building a culture based upon trust and respect that people want to join and promote. 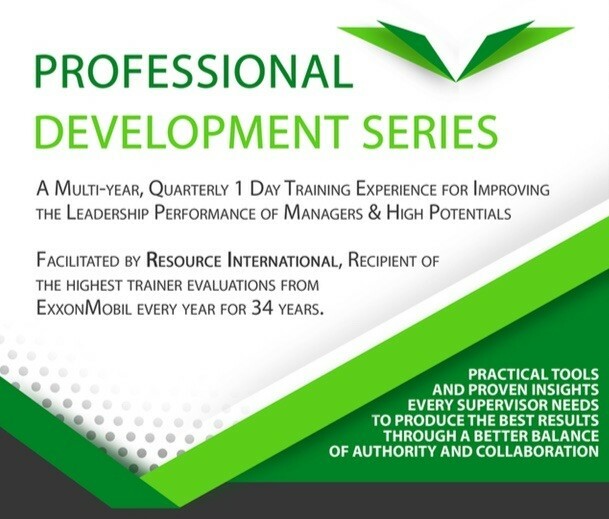 Need to strengthen leadership and team performance? Successful Work Relationships: How Leaders and Teams Improve Performance through a Balance of Authority and Collaboration support leaders in maintaining their authority while collaborating to get co-workers on board with the Bookends of Leadership Model©. Applying the 6 Stages for Creating Supportive Agreements© anyone can produce more effective results. Lead Functional Teams identifies what leaders need to do to debate the tough issues openly and respectfully ensuring common commitment and accountability for expected results. Cross Functional Cooperation In A Matrix Organization shows managers how to move from focusing on their own siloed department’s business objectives to effectively sharing responsibility with other leaders for the greater success of the whole organization. Need everyone to work better together? Make Agreements People What To Keep establishes norms for holding people accountable in professional and corporate organizations for respectful, responsible results oriented behavior. Delegation: Making Joint Decisions For Success ensures both supervisor and direct reports are all on the same page, with the same expectations, for who is responsible for what to produce agreed upon results in the desired timeframe. Check out more of Dr. Rob’s presentations topics…. For Meeting Planners… The left video (8 minutes) below is Steve Harrison, creator of the Speaking For Money Coaching Program interviewing Dr. Pennington about his insights on what makes for an impactful, engaging speaker and some of what you can expect having Rob make a difference for your next conference or meeting. Through four decades, in many parts of the US and world, Dr. Pennington has provided insight-filled presentations that enlighten, entertain and engage participants of associations, corporate and government agencies. Consistently rated “one of the best speakers I’ve ever heard”, you can count on him also making an immediate, practical and memorable difference for your next meeting. Read the many testimonials to the right to see what people are saying about what you can expect from working with Dr.Pennington to make your next conference or meeting the best ever. Numerous associations have their best meeting – ever! 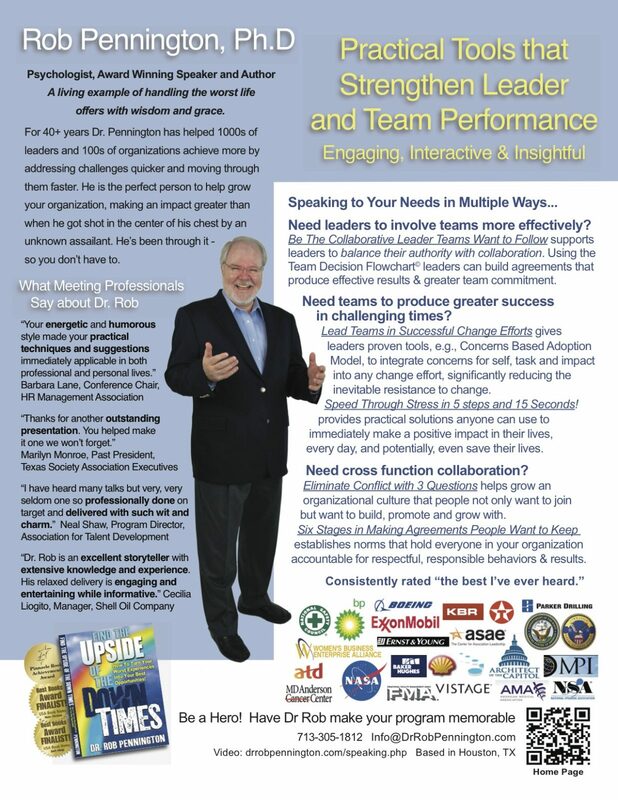 Author of the award-winning Find The Upside Of The Down Times: How To Turn Your Worst Experiences Into Your Best Opportunities!, Dr. Pennington has educated, trained and coached tens of thousands of people and hundreds of organizations. You can count on Dr. Rob making you a hero at your next meeting! Kelly Johnson, HR Manager, Lockwood, Andrews & Newnam, Inc.